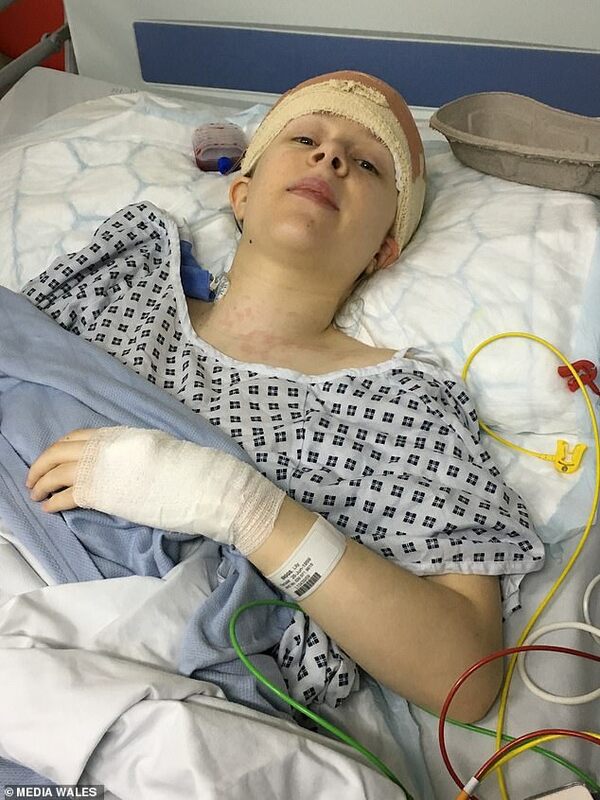 A teenager has a ‘ticking timebomb’ tumour that caused her to suffer blackouts which doctors dismissed as puberty. 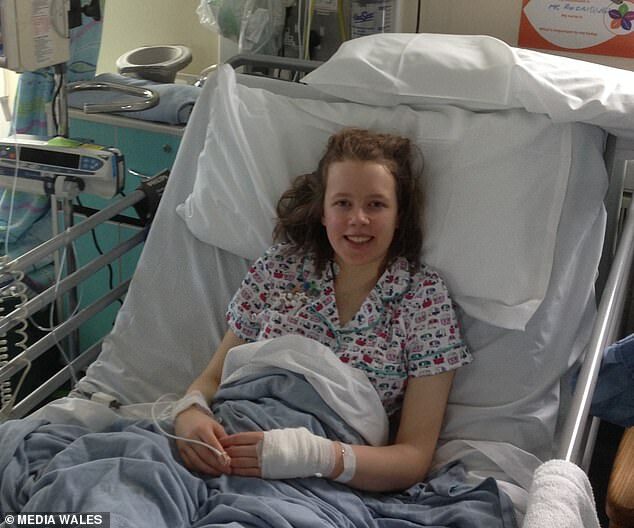 Lily Briggs, 19, from Brecon in Wales, began to experience dizziness and randomly lose consciousness when she was 13. But after seeing her GP, she was prescribed medication and reassured it was likely due to hormonal changes caused by puberty. She was eventually seen by a specialist more than six months later who ran brain scans just in case. Miss Briggs was then diagnosed with a brain tumour, which, although required surgery twice, cannot be removed. The tumour is not threatening her life right now, though doctors fear that could suddenly change if it gets bigger, leaving Miss Briggs unsure of her future. Refusing to give up on life, Miss Briggs threw herself into her A levels and is currently studying an aerospace engineering degree at university. Miss Briggs said: ‘When someone tells you you have a brain tumour, it feels like a death sentence. ‘I just don’t know what the future will hold. I know that my condition could worsen and that’s pretty scary. In 2013, Miss Briggs’ began having visual disturbances, tinnitus, and dizziness and blackouts if she turned her head too quickly. A few weeks later, her GP put it down to hormonal changes during puberty. But when medication prescribed failed to help, her mother Wendy and father Nic insisted she should see a specialist. WHAT ARE THE SYMPTOMS OF A BRAIN TUMOUR? Low grade gliomas are benign (non-cancerous) tumours that develop from brain cells called astrocytes. Astrocytomas are the most common type of glioma. In children, more than 80 per cent of astrocytomas are low grade. Low grade astrocytomas usually develop only where they originated and grow slowly over a period of time. These tumours can arise anywhere in the brain or spinal cord. The majority of low grade gliomas are not life-threatening but some inoperable tumours (often in young children) can prove to be very difficult to treat. The symptoms depend on where the tumour is located and also whether there is increased pressure in the head (raised intracranial pressure). abnormal gait (the way the child walks). problems with bowel and bladder control. 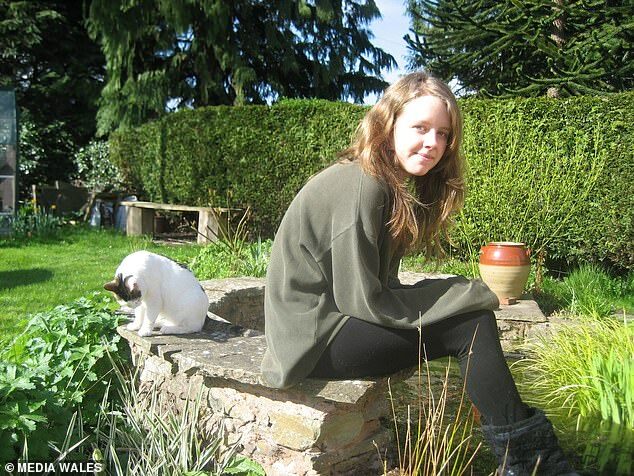 After more than six months of persisting, Miss Briggs was seen by a paediatrician at Hereford Hospital who referred Miss Briggs- who was 13 at the time – for an MRI scan just in case. But within a very short time the family’s lives were turned upside down. ‘After the first scan I was called back for a second one, because of a small area they couldn’t see,’ Miss Briggs said. Miss Briggs was later taken to Birmingham Children’s Hospital. Although doctors aren’t sure what type of tumour Miss Briggs has, it’s been classified as a ‘low grade brain stem glioma’. Each year in the UK, approximately 4,300 people are diagnosed with low, slow growing brain tumours. Around 75 per cent of brain stem gliomas are diagnosed in children and young adults under the age of 20, but they can affect older adults as well. Approximately 5,270 brain and other CNS tumors will be diagnosed this year in children younger than 20 in the US. Doctors are unable to perform surgery to remove Miss Brigg’s tumour – sometimes, a tumour is located in a place a surgeon cannot reach or operating will cause more damage. The tumour appears to be made of cells that are healthy – but that could change at any time, doctors have reportedly told Miss Briggs. It could also threaten her life if it gets bigger, as it would create more pressure on the brain. Miss Briggs said: ‘I felt relieved when I found out. I wasn’t surprised, I knew something serious was going on. ‘Finally someone was telling me what was going on. Following a procedure to relieve pressure on her brain, Miss Briggs was sent home within a week and told she would need no further treatment. But three years later, in March 2017, one of her regular scans revealed a fast-growing cyst – requiring further complex surgery. After she left hospital, Miss Briggs threw herself immediately into A Level revision, and in August of that year was rewarded with A* grades. She was then accepted at Leeds University to study aerospace engineering. Regular MRI scans check the size of the tumour, but Miss Briggs doesn’t have any other medication or treatment. ‘Uni life is great,’ Miss Briggs said. ‘I do get fatigued sometimes but I’m generally able to keep up with most activities. Despite the potential ticking timebomb in her head, Miss Briggs is not giving up on her dreams of becoming a primary school teacher. She said: ‘There may be another build-up of fluid in my brain, the cyst may grow or the tumour could become more aggressive. Miss Briggs is sharing her story in support of The Brain Tumour Charity during Brain Tumour Awareness Month, which runs throughout March. Sarah Lindsell, chief executive of The Brain Tumour Charity, said: ‘We are immensely grateful to Lily for sharing her experience to help raise awareness of brain tumours and their symptoms.